Pete Dye 1992 27 72/36 7077 45 minutes from downtown. This beautiful and challenging golf course designed by Dye Designs and opened in 1992 is in my opinion a truly magnificent world class championship golf course. 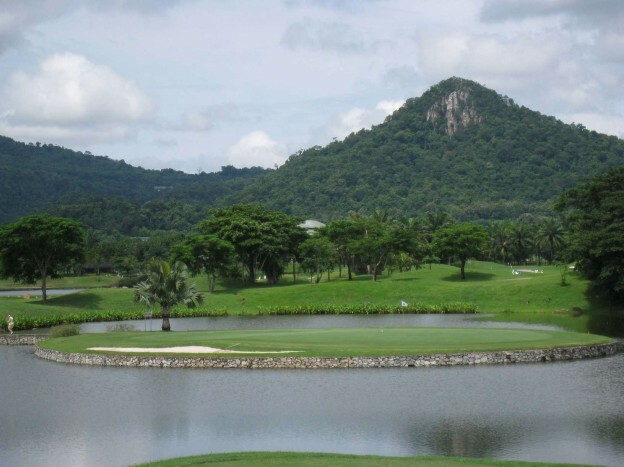 The location of the Khao Kheow Country Club, not far away from Pattaya, means that there is always a strong sea breeze. Therefore players have to plan their shots carefully on account of the numerous large ponds, bunkers and hills that surround the greens and fairways. The course really has something for everyone, in particular watch out for the par-three seventeenth; it’s a killer for both amateurs and professionals alike. The luxurious clubhouse incorporates a sports club, swimming pools and tennis courts as well as an excellent pro shop, locker room facilities and restaurant.